C.J. Box’s novels have been lauded by readers and critics alike for their complex plots, true-to-life characters, and his stark lyrical depiction of the New West. His latest novel—ENDANGERED—is no exception. 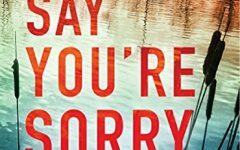 Box’s soft-spoken but hard-hitting protagonist, Joe Pickett, is back—and this time, it’s personal. When a young woman found beaten to near death turns out to be Joe’s stepdaughter, Joe’s gut tells him that the perpetrator isn’t the man in custody, but her boyfriend, rodeo champion Dallas Cates. Proving it means facing off with the whole Cates clan, who will do anything to protect Dallas. What does it take to write books that grab readers both by the hearts and throats? 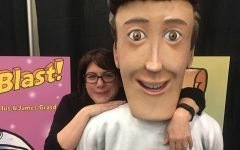 The Big Thrill recently interviewed Box to find out. Joe Pickett’s relationship with his family—his wife, his daughters—is somewhat complex. How does this help you, the writer and creator, grow and mature the characters, and the series as a whole? The novels take place in real time. In the first, Open Season, Joe’s oldest daughter Sheridan is seven years old and she’s a major character in the book. In ENDANGERED, she’s a sophomore in college. Over the span of the novels, his three daughters have grown up and are still growing and changing. Joe and his wife Marybeth mature and change as well. I think (hope) this keeps the series fresh both for me and for readers. Things that happen in one book impact the characters in the next. I try to keep it so the reader doesn’t have to completely suspend disbelief from book to book. Let’s talk about your protagonist Joe, who, for those who haven’t read your wonderful series, happens to be a game warden. Why do you feel he resonates with so many readers—including city dwellers? Joe Pickett is a game warden. That means he’s a state employee charged with administering the fishing and hunting rules and regulations for his district, which happens to be 2,500 square miles. In my novels, just as in real life, Wyoming game wardens get involved not only with outdoor situations but also with local law enforcement and federal law enforcement agencies. Local game wardens participate in resource, landowner, and environmental issues. Game wardens are independent, heavily armed, and they rarely have backup when they get into tough situations. They patrol via pickup truck, horses, ATVs, boats, and snowmobiles. Rarely does a game warden encounter a citizen in the field who isn’t armed. Therefore, they have to learn to deal with situations in a more nuanced way than calling in the S.W.A.T. team. Your plots—and ENDANGERED is no exception—have been described as fast-paced, thrilling, original, and fresh. How do you come up with them? All of my novels are rooted in contemporary issues or controversies. 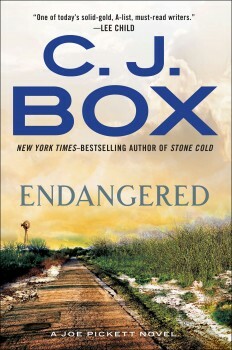 In ENDANGERED, for example, a major theme throughout the novel is the preservation of sage grouse in the mountain west. From the foundation of an issue, I build the plot in what I hope will be a page-turning way. These aren’t agenda books or political screeds, but they do include sometime controversial themes, like endangered species, wind energy, environmental terrorism, etc. My goal is always to present the issue in an even-handed way. I trust the readers to come to their own conclusions. If nothing else, the reader may learn that there is another side to the story. ENDANGERED is the fifteenth book in your Joe Pickett series. What do you feel is the hardest thing about keeping a series fresh? By letting the characters grow, change, and mature (or not), it can keep a series from getting stale. For example, the relationship between Joe Pickett and Nate Romanowski has never been static. It hasn’t been a traditional “good guy and tough sidekick” kind of thing. The way they relate to each other and work with or against each other has evolved over the series. Wyoming has more than its share of interesting characters and I enjoy portraying them in my novels. One of the traits that might set them apart is the sheer isolation of many parts of this least-populated state in the country. With so few people, rugged individualism is a necessary survival trait. People need to know how to fix their own cars, kill their own food, etc. The weather is often extreme: blazing hot in the summer and bitter cold in the winter. There are wild animals roaming about that can eat you. Everyone has lots of guns. Add in the Wild West culture and history, and the “end-of-the-road” feeling in many of the smallest towns, and you get some colorful folks. Are towns such as Saddlestring typical in your region, or did you invent it in all its quirkiness, or is it a hybrid of what a visitor would find in your neck of the woods? The Town of Saddlestring in Twelve Sleep County, Wyoming, is fairly typical of a number of small Wyoming and/or mountain towns I’ve lived in, or are familiar with. Saddlestring, to me, is a hybrid of three places: Sheridan, Buffalo, and Saratoga, Wyoming. I used a little of each. The county is fictional, but based on a small town called Ten Sleep. The reason it has that name is supposedly because it took American Indians “ten sleeps” to get across the Bighorn Mountains. Let’s talk some about your prose, which has been described as “lyrical,” your dialogue as “crisp.” What is your process? I try to put the reader into the book with the fewest strokes possible without showing off. What do you think are the most successful traits of a good thriller series? This answer could literally be a set of books in itself, but I’ll give it a try. I’ll start with characterization, momentum, plot, and point-of-view. As a reader, I need to empathize with at least one of the characters and hate the bad guy. I want to be swept along and I want to keep turning the pages. I don’t want to be taken down side-channels and I don’t want to struggle through huge blocks of text in order to get to something that’s interesting. The plot has to work and fall into place and stay true even when de-constructed. And I want to feel confident about the point-of-view and know it’s honest, true, and compelling. If I’ve given this author my trust he/she had better give it back or I’m through with them. When your Joe Pickett series debuted back in 2001, I’m sure you thought, “Hot damn! It’s hella hard to get a novel published these days!” Now, warp speed to this year. Pretend you’re a novice author trying to get Open Season published by a NY pub house. What would Seasoned C.J. say to Novice C.J., with all that you know about publishing today? Get a really good agent and trust them. A bad agent (or editor, for that matter) can derail a promising career. Also, tune out all that advice and noise. Go with your gut and finish the book and write the best single book you can. Don’t think about saving anything for Book Two. Without a Book One there will be no Book Two. A stand-alone thriller called Badlands will come out in July. It’s a sequel to The Highway and it takes place in North Dakota. I’m really excited about it. And now we, your readers, have something to look forward to, as well. What is next for you on your personal journey? I’m getting involved with a couple of television projects based on my novels. In fact, I see on your blog that Robert Redford is producing a Joe Pickett series, and that David E. Kelley is taking on Cody Hoyt and Cassie Dewell. Congratulations! Can’t wait to see such thrilling characters come to life. It all kind of happened at once. Although I’ve had books optioned for movies, television these days is a whole different ballgame. We’ll see. C. J. Box is the Top Five New York Times bestselling author of eighteen novels including the Joe Pickett series. He won the Edgar Alan Poe Award for Best Novel (Blue Heaven, 2009) as well as the Anthony Award, Prix Calibre 38 (France), the Macavity Award, the Gumshoe Award, the Barry Award, and the 2010 Mountains & Plains Independent Booksellers Association Award for fiction. The novels have been translated into 27 languages. Open Season, Blue Heaven and Nowhere To Run have been optioned for film. Over 6 million copies of his novels have been sold in the U.S. alone. 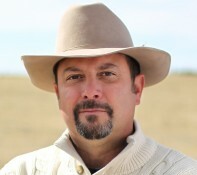 Box is a Wyoming native and has worked as a ranch hand, surveyor, fishing guide, a small town newspaper reporter and editor, and he owned an international tourism marketing firm with his wife Laurie. In 2008, Box was awarded the “BIG WYO” Award from the state tourism industry. An avid outdoorsman, Box has hunted, fished, hiked, ridden, and skied throughout Wyoming and the Mountain West. He served on the Board of Directors for the Cheyenne Frontier Days Rodeo. They have three daughters. He lives in Wyoming. To learn more about C. J., please visit his website.